Teachers represent faculty and staff who are responsible for using a variety of instructional strategies to address individual students’ strengths and needs, thereby ensuring each student has an opportunity to learn and succeed. As teachers interact with their students while providing instruction, they play a very important role in establishing a safe, supportive learning environment. Positive teacher–student relationships can have long-lasting effects on the social, emotional, and academic development of youth. Teachers can improve the school’s environment by actively seeking to prevent physical violence, bullying, and emotional abuse in their classrooms and throughout the school by building relationships with students and staff. Teachers can develop culturally responsive classrooms to foster a collaborative environment. Creating a culturally responsive classroom allows teachers to understand the differences among the cultures in the classroom, while still recognizing and valuing individual student needs. Understanding the diverse needs of students can assist teachers with creating relationships with students that are built upon collaboration. In turn, students will feel more empowered to speak out, ask questions, and give input to classroom procedures. Teachers can create welcoming classrooms for all families in which they feel invited to become a part of their child’s learning. Not only do quality relationships among teachers and students improve students’ academic success, but fostering positive relationships with students' families also can contribute to students’ success in the classroom. Involving families in the educational process should not be viewed as a one-time event (e.g., teacher–parent conferences), but rather as a continual process in which teachers begin to understand the needs of the families they serve and their diverse backgrounds. Students are more likely to connect with their schools and communities if they have a positive, trusting relationship with their teachers. Positive relationships and attitudes among teachers and students can support an environment in which students feel safe and learning takes place. Students feel more connected with their school and community when an adult provides encouragement to students to become actively involved within and outside the classroom. Teachers also can coordinate links between the school and community resources to further provide services that enhance classroom instruction. Bucalos, A. B., & Lingo, A. S. (2005). 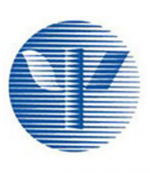 What kind of "managers" do adolescents really need? Helping middle and secondary teachers manage classrooms effectively. Beyond Behavior, 14(2), 9–14. LaRocque, M., Kleiman, I., & Darling, S. M. (2011). Parental involvement: The missing link in school achievement. Preventing School Failure, 55(3), 115–122. Introduces videos on ways in which teachers can create an emotionally safe classroom to foster learning, and ways in which they can deal with emotions and conflicts that can be an obstacle to learning. Provides surveys for middle and high school students, their parents, teachers, instructional staff, non-instructional staff and administrators on a web-based platform. The surveys can be downloaded free of charge and provide user-friendly school climate reports back to users. Local education agencies administering the survey will be able to store the data locally on their own data systems. Provides guidance for improving students' relationships with teachers to promote students' academic and social development. Includes do's and don'ts, strategies for cultivating positive relationships in the classroom, theoretical perspectives, measures, climate indicators, stressors, and additional references. 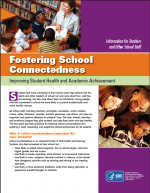 Answers questions about school connectedness and identifies strategies teachers and school staff can use to foster connectedness among their students. Includes two modules trainers can use to address bullying in classrooms. Specifically, it is designed to assist teachers in cultivating meaningful relationships with students while creating a positive climate in the classroom. Offers practical suggestions and ways in which school staff, teachers, and administrators can support students in these uncertain economic times. Includes strategies to promote a sense of safety, calm, self-efficacy, individual and community efficacy, connectedness, and hope.